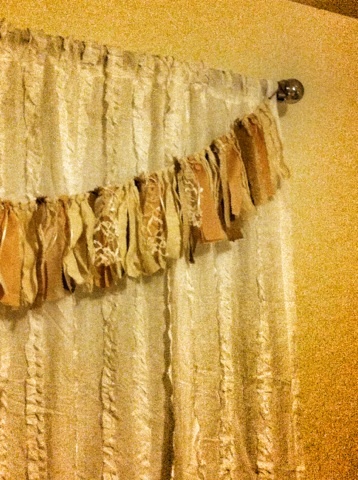 Fabric Garlands have become increasingly popular and for good reason. Garlands add the perfect finishing touch to any decor. 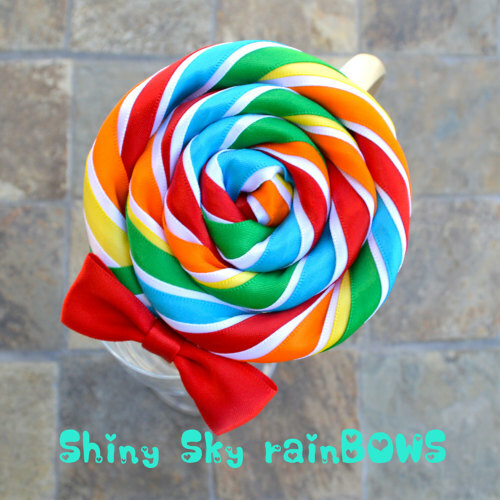 They are perfect for the home, parties, weddings, holidays, photo backdrops and more! 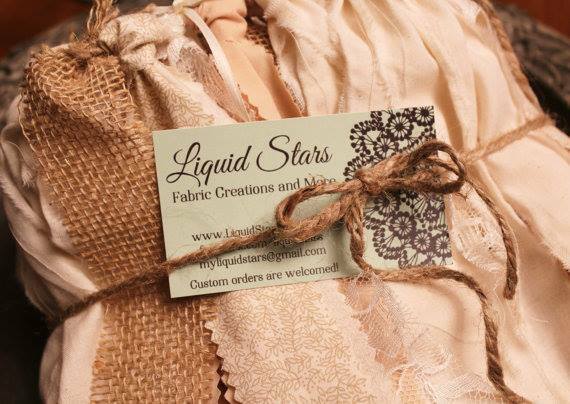 Liquid Stars Is an adorable shop on Etsy specializing in custom rag garlands for every occasion! 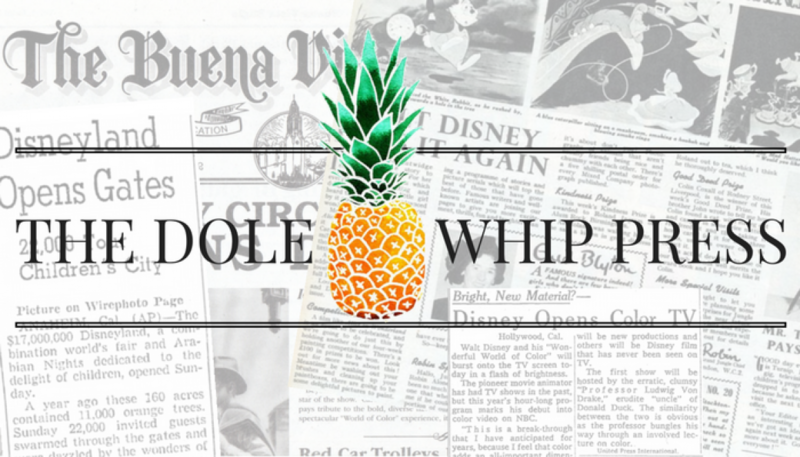 Crystal Dahlman is the mastermind behind the shabby chic creations. She can match any theme and color. The garlands created by Liquid Stars are made of high quality fabrics and cut with precision so there is no fraying. You will find the garlands are sturdy and are perfect for hanging pictures, artwork, and cards. Fabric Garlands are also ideal for dressing up your window. I love how it completes the look of the room and provides a romantic, pretty, and very tranquil touch. 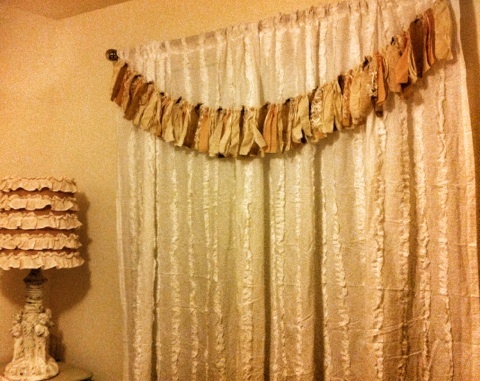 Crystal is such a doll and she made me this beautiful and oh so shabby chic curtain garland. I am absolutely in love with this look and can not wait to dress up the window in my family room with another Liquid Stars creation. 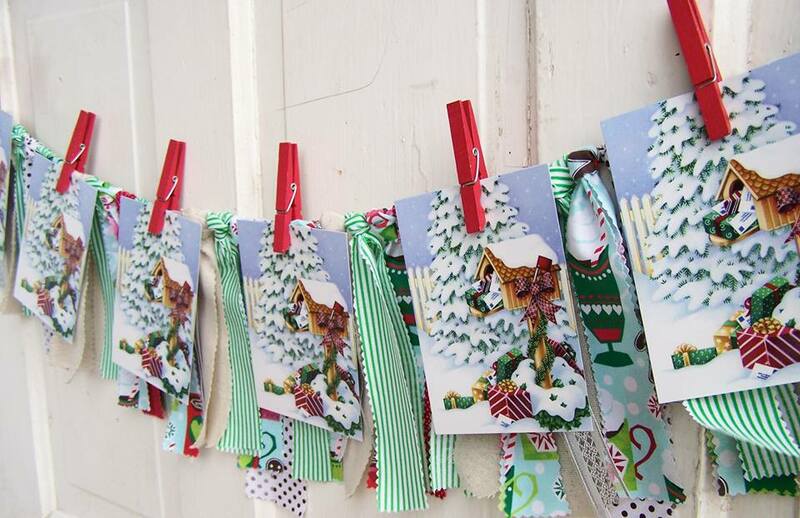 These fabric garlands are made with love and sent to you from the majestic mountains of Montana! With a little imagination you can find lots of different ways to make these garlands sparkle in your home or event. If you need a custom order or just have questions, please let me know and I would be happy to help! I really treasure your comments and reviews, so please leave me one! For more information or to place an order visit Liquid Stars on Etsy and Facebook.